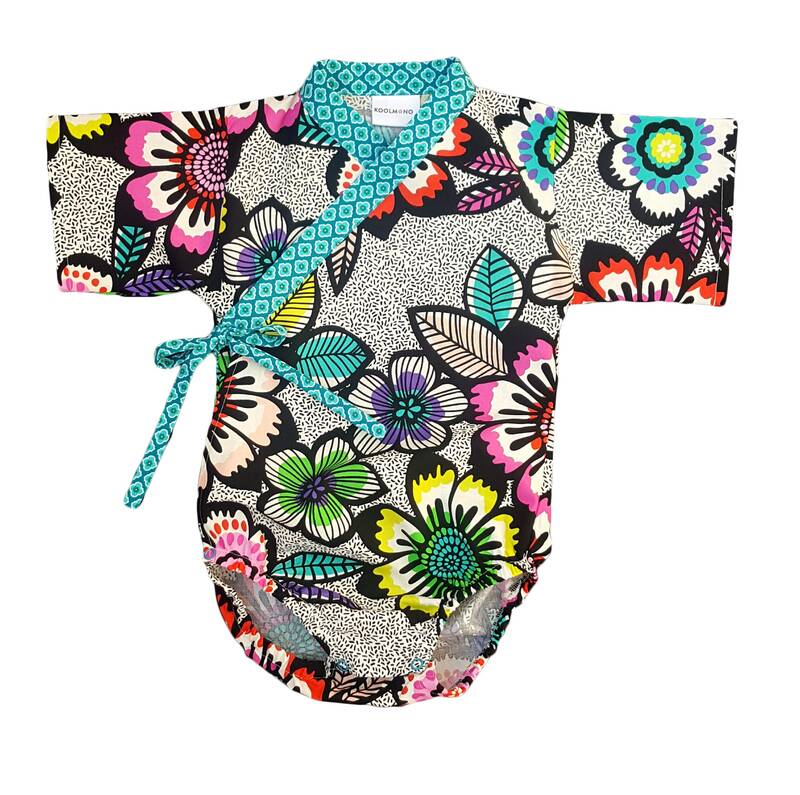 This kimono bodysuit features a stunning fabric, in multi-colored large floral print. Simply brilliant! 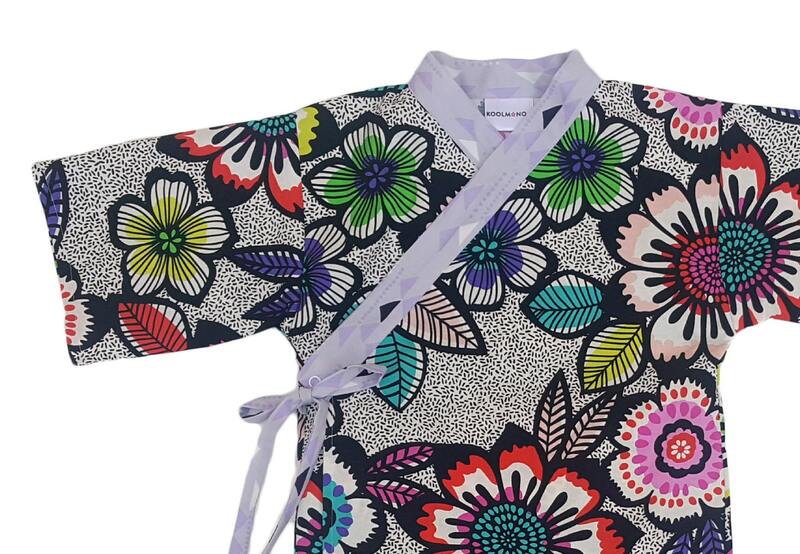 This can be made in the aqua colored collar, or the lavender (as shown in last picture). Select option at checkout.